MY 3 YOUNG CHILDREN WERE KIDNAPPED BY MY "FAMILY" BECAUSE THEY DISAGREE WITH MY LIFESTYLE AS A CONSCIOUS PARENT. 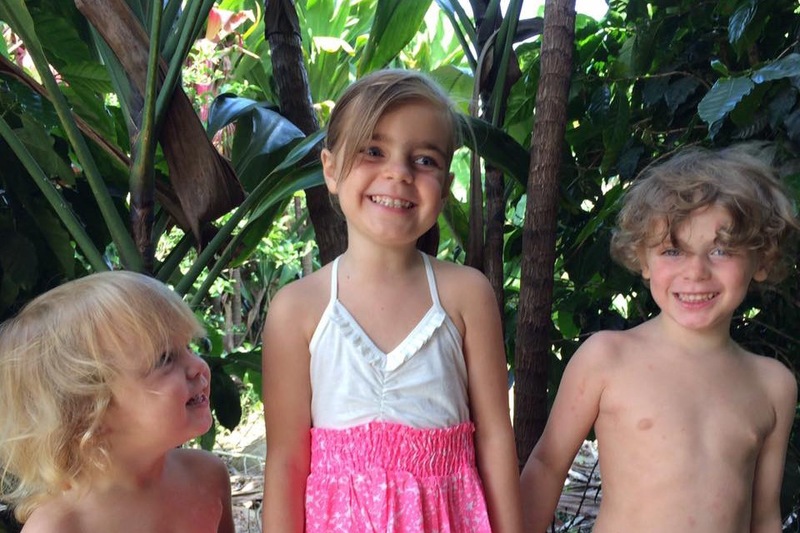 In the spring of 2017, my 3 young children Riley, Ezra, and Vincent and I moved to Costa Rica to get away from a family that seriously disagreed with my lifestyle. Together with other families, we are on a mission to Free The Children from an epidemic of disease and powerlessness by creating a Democratic school and support system for single mothers to join together and empower one another. A slideshow of travels with my beautiful family. I love those smiles! This alternative lifestyle included things like: no vaccines or antibiotics (unless absolutely nessesary), no meat and mostly raw diet (with some cooked food as well), home schooling, naked and barefoot babies, non-violent, attachment parenting, connected community, sustainable food forests and conscious spirituality. This was a photo taken at the natural healing center in Costa Rica in June. Riley is passionate about helping the world eat natural foods! One of her favorite things to do is to make videos to show the world how easy it is to eat raw and healthy! Here Riley Rose has big visions for a better world and she often shares her ideas of love with us all. Things were looking good for my family and although I had my struggles as a single mom, we were creating a new family of support and finally living in peace. In December 2017, my father (the children's grandfather) and his wife came to visit us in Costa Rica after a long time of no contact even though I was hesitant because of all the judgement and persecution I had received but "it was Christmas" so I agreed. When they saw that we lived so different, eating mostly raw, sleeping in the same bed with my my babies, living in community with others and the fact that I chose to treat staph infected mosquito bites with natural medicine (under a doctors supervision), they went to PANI (like CPS) and told them that I was starving the children, neglecting them proper medical care and vaccines (because I chose a naturopathic doctor), neglecting them schooling and they even went as far to say that I was a drug addict, mentally insane, and they they had seen me abandon my children on many occasions. 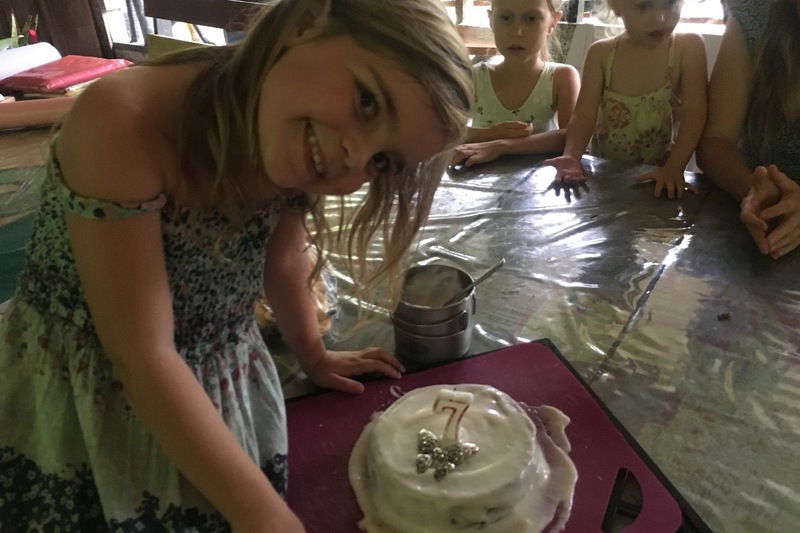 December 22nd, 2017 Riley and her raw cake on her 7th birthday party with her friends. On December 23rd, 2017 the day after Riley's 7th birthday, the Costa Rican police broke into my house with guns pulled and arrested me illegally without a warrant for "child abandonment" they held me, refusing me to care for my children while they worked on securing the warrant. Because I was going to jail, they placed the children with their grandfather, the one who accused me, while they could investigate the accusations. My dad even told them (documented in the report) that I he had custody of them in the USA and that I took them from him first. For Christmas in Costa Rica, the whole government shuts down for two weeks starting on December 23rd so it was perfect timing for them to abduct the children. We still don't understand how but they were able to abduct the children to the USA, now in Vancouver, WA where he gave the children to my sister who has had them for the last 9 months and forbids all contact with me, their mother. She has given them each over 10 vaccinations each and feeds them meat and refused to respect the children's allergies. They have developed NEW health problems that are blamed on "no medical treatment" but I know that changing a child's diet to include allergens, country, and MOTHER is so stressful that health problems would be expected. My daughter Riley, was extremely distressed and was having panic attacks for hours the day they were taken. I have missed both the boy's birthdays, the baby Vincent's first hair cut, and they are all being sent to public school with no concern for the children's individual needs. My dad pressed criminal charges against me in Costa Rica so I was not allowed to leave the country. It took me 4 months to prove my innocence before I was allowed to travel to the USA. Once I arrived to the USA (where I had full custody of my children), I was given the run around and no one said they could help me. I talked to the FBI, Sheriffs, CPS, dozens of organizations that all referred me to others for help and sent me in loops. I was advised to file a Hague Petition for International Child Abduction and I did this in the Federal Court of Tacoma, however after a 5 day trial I lost the case because I could not prove that Costa Rica was our habitual residence (although it was). I lost on a technicality but the judge was clearly bothered that most of the evidence my family had against me was only Facebook posts and conversations were I explained my beliefs about conventional parenting, medicine, and education system. This judge was so sympathetic that he ordered that the children be brought to the court so I could see them. This hour was the only hour I have been able to see them this entire year. During this visit, they told me they missed me and wanted to come home with me. It was heartbreaking to tell them no. Even more heartbreaking was to see that my baby didn't even know his own mother, he was still nursing when he was taken from me. But after a couple minutes baby Vincent warmed up to me and we played an laughed together. At the end, he moved all the chairs in the room around me and said that he was going to protect me from the "bad guys". Ezra was the most connected to be, and he wanted everyone to know that I was his mother, he even told my sister "hey hey this is my mom" clearly proving that he didn't even know that she new me. This was a photo from the only hour we have spent together this year after 6 months no contact. Riley Rose make a video that day to remind me she will see me soon. The normal sparkle in her eyes is missing! 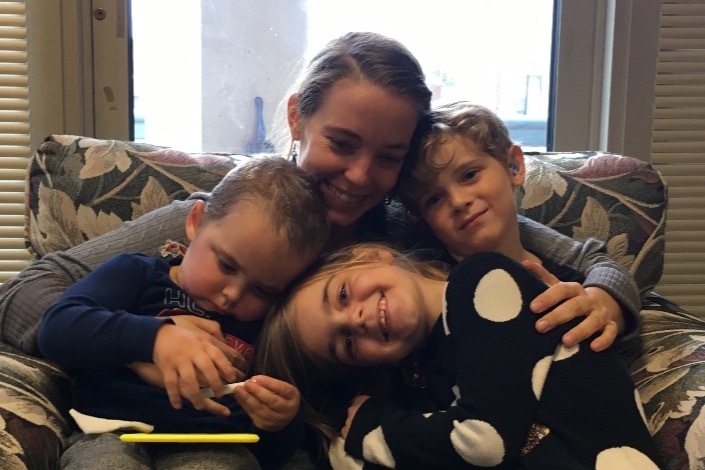 After many months with NO CONTACT and no information about my children's health or wellbeing, I finally was able to secure an Order of Assistance from a Judge in my hometown in Oregon that authorized the police to seize my children and give them back to me! I thought this was the end of the nightmare but because the children had been taken out of the state, the Washington Sheriff could not honor this order and I had to go to Washington Court for help. Once in the Clark County Superior Court in Vancouver, WA I was able to secure the same kind of order to assist in the transfer of custody but when the sheriff brought the children into the court to be returned to me, my sister came in with a team of attorneys which violently presented the same lies as before, saying that the children would be in danger if they were allowed to come home with me. Without even talking to me or asking me one question, the judge allowed the children to go home with my sister and gave me a restraining order!!!! Although I have mountains of evidence to prove my innocence and that I am currently fit to be a mother, I have not even had a chance to tell my story. The evidence I have includes: blood tests to show my children were not malnourished on a vegan diet, doctor records to show I did treat my children when they were sick with a common illness, witness statements of over 20 people who have seen me with my children, photos and videos, CPS records to show the multiple false claims of child neglect that I was subject to over the years before leaving USA, and so much more! My sister claims that she has already spent over $50,000 on legal fees to keep my kids, money I just don't have to fight for them. She has the whole family supporting her and has done many croudfunding campaigns on multiple platforms to get money to keep them from me. The judge has ordered a private investigator to determine what is in the best interest of the children but this investigation has been at a stand still because I have to pay for it. I spent all of my money on legal fees in Costa Rica before I even got to the USA, I am representing my case Pro Se, meaning I am my own attorney which puts me at an extreme disadvantage because I do not even have the same access to the filing system as a Pro Se filer. I cry every day and I had to shut down my online business because I just can't do it right now. I have not made any money since they were taken. All I can do is focus on getting them back. I am going through the stages of grief. It was like my whole family died that day because my dad was able to turn everyone against me. I have no mother, no father, no sisters, no grandparents, aunts, uncles, etc. They have all become my enemies. In a weird way, they have all come closer together by being against me instead of fighting against each other like before. I forgive them because they don't even realize what they are doing. The trauma suffered by children who are abandoned by their mother is severe. They older children may know that I have not chosen to abandon them but they suffer the trauma all the same. They went from sleeping in the same bed with me all their lives to never seeing me or talking to me EVER overnight. My sister has been given temporary custody and is petitioning for third party custody to get permanent custody of them. She is requesting that I have no contact with the children and only supervised visits if I agree to give up my passport and live in the USA but this is impossible because I live in Costa Rica and have no home in the USA. I need help raising money for the court ordered private investigator (called a GAL) $1200+, attorney retainer fee $7,000, replacing stolen passports $330, flights to get them home $2500, and sessions with an expert trauma therapist for my children and I at $700/month. 1. Please donate at least $7 (or more) to help us bring my babies home! 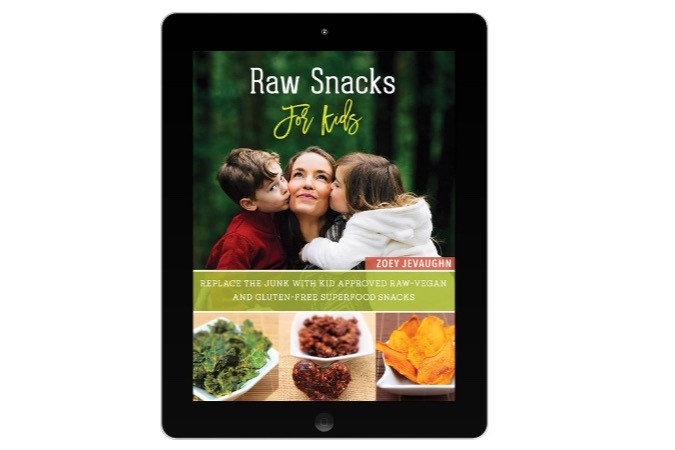 I will send you a free copy of my RawSnacks for kids recipe ebook as a thank you for your donation. 2. If you are an attorney and is willing to help me ProBono or reduced cost or if you have information that could help me, please reach out! 3. Please share this on your social media and reach out to groups or online influencers that you know that could help. If you want to join my rescue team please email me for instructions. or email me here zoey@reach-the-people.com . This is my book you will receive for donating. It includes all the yummy snack recipes from my Oregon raw snack company.